One of the best ways to cool off during central Florida’s hot and humid weather is to step into your refreshingly cool home to enjoy air conditioning that is working exactly as it should be. When things go wrong with your air conditioning, you know it right away. This is the time to call for the AC repair Winter Park has trusted for over 25 years, DC / AC Air Conditioning and Heating. Our technicians are exceptionally qualified professionals, devoted to paying attention to details and providing the best service possible. To live and work in the healthiest environment possible, it’s critical to have air conditioning that works the way it should. In some cases, people’s continued good health can depend on the air conditioning cooling correctly. When air conditioning malfunctions, the room heats up quickly and can cause feelings of dizziness, tiredness, dehydration, inability to concentrate, and irritability. Many folks don’t realize the harmful effects of improperly working air conditioning until it’s already begun taking a toll on their health. Excellent air conditioning repair and air conditioning service provided by DC / AC Air and Heat is the best way to alleviate these negative effects. Folks who have existing health problems, the very young or elderly people are often affected the most when air conditioning isn’t working right. 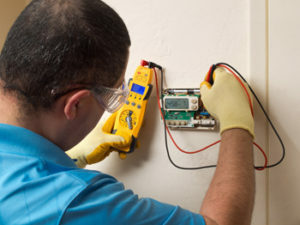 Fortunately, trustworthy residential and commercial AC repair in Winter Park FL is just a phone call or a few clicks away. Negative health effects can sneak up on people over time and may not be noticed until it’s too late and damage has already started. Trust your comfort and the comfort and continued good health of your loved ones to experts in AC repair and service from DC / AC Air Conditioning and Heating. All of our technicians are licensed, insured, bonded, and well-trained in all the nuances of today’s most popular air conditioning systems. They’ve met many challenges and they’re ready to tackle any problems you’re experiencing with your air conditioning system. At DC / AC Air Conditioning and Heating, we hire only the best, most devoted technicians who adhere to our principles of honesty, integrity, excellent service and professionalism. Your Winter Park AC repair will be done right the first time. No matter what issues you’re experiencing with your system, our technicians have handled it before. If it’s determined that you need a new system, everything will be explained to you. We’re happy to answer any questions you may have. Technicians will go over things like the energy star ratings, pros and cons of each system and will let you know which system they recommend for the space you need to have cooled. They will even go over paperwork with you so you can get any applicable rebates. 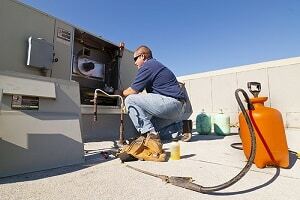 What Happens When you Call for AC Service and Repair? When your AC specialist tells you that it’s time to replace your system, there’s no need to fret. Today’s newest AC systems offer benefits that were unheard of years ago. Your professional technician from DC / AC Air Conditioning and Heating is happy to go over all the nuances of the newest systems with you and explain how you can use your new air conditioning most effectively for the most cost-saving benefits. 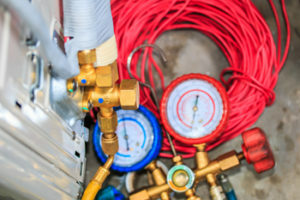 An expert from DC / AC Air Conditioning and Heating is happy to come out to explain all of the benefits you can experience from having the newest AC and heating system installed. We believe that the better informed you are, the better your decision will be. Having exactly the right AC system for your needs is a sure way to maintain your physical and financial health. DC / AC Air Conditioning and Heating consistently strives to keep up our excellent reputation. We take pride in being rated A+ by the Better Business Bureau. We’ve also received excellent reviews from past clients and we’re humbled and thrilled when they refer us to their friends, relatives and co-workers. We know this is the highest compliment we can receive and we are grateful for it. 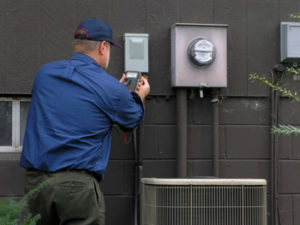 The AC repair Winter Park needs is renowned for being prompt, precise and delivered by experts. Your professional air conditioning service is coming to you directly from knowledgeable technicians who are constantly kept up-to-date on all the latest best practices. Our goal is to provide the top-notch AC service Winter Park residents deserve. Becoming overheated can be especially dangerous for elderly people, children and pets. Sometimes their bodies are not equipped to regulate temperature correctly, making properly working air conditioning an absolute necessity. One phone call or a few clicks is all it takes to experience the DC/AC difference. The AC repair Winter Park needs is at your fingertips. You love living in central Florida where the temperatures are sub-tropical, soft breezes blow and palm trees sway. It’s even more attractive to live here when you can step into a home or office that has refreshing, smoothly running air conditioning. We’ll help to bring back that feeling of sweet relief when your air conditioning starts to show signs of malfunctioning. 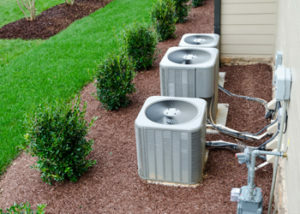 Keeping up with the AC service Winter Park residents need is your best way to ensure the continued smooth operation of your air conditioning.